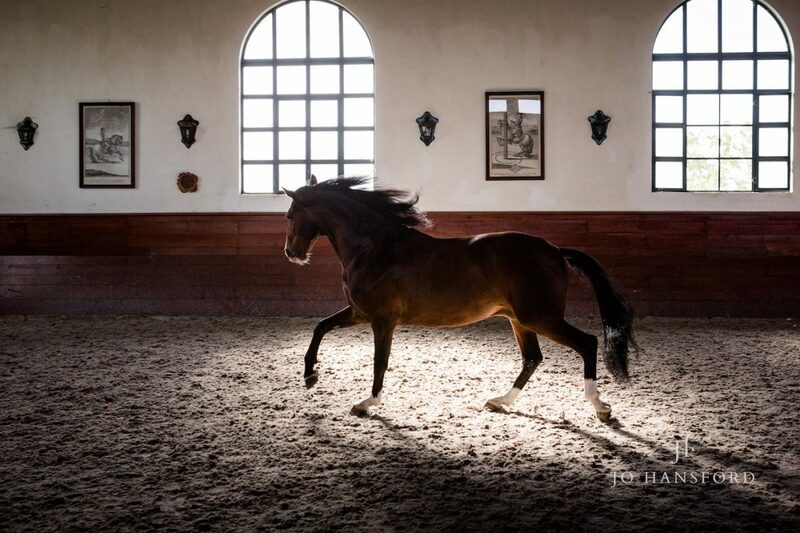 A while back we had an amazing experience visiting rider Gilberto Filipe Silva at his yard, near Lisbon, in Portugal! 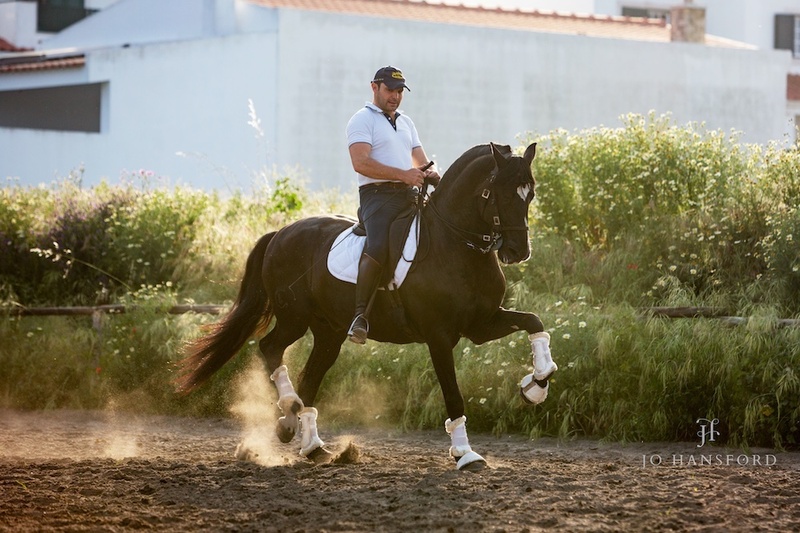 Gilberto and his team are based at ‘Picadeiro Quinta da Horta’ in a small town called Montijo, near the coast. 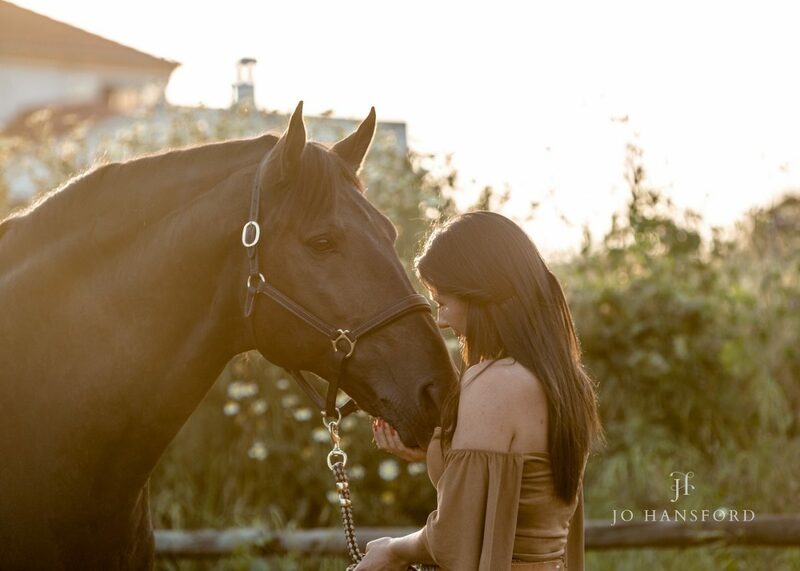 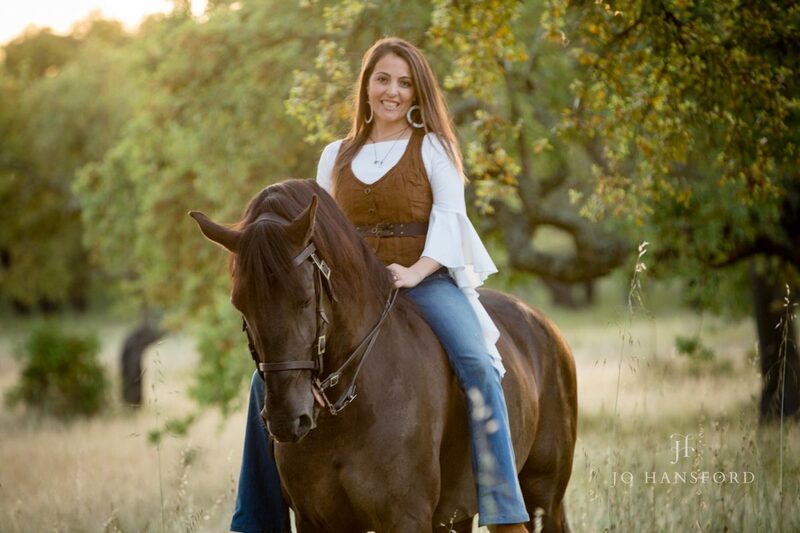 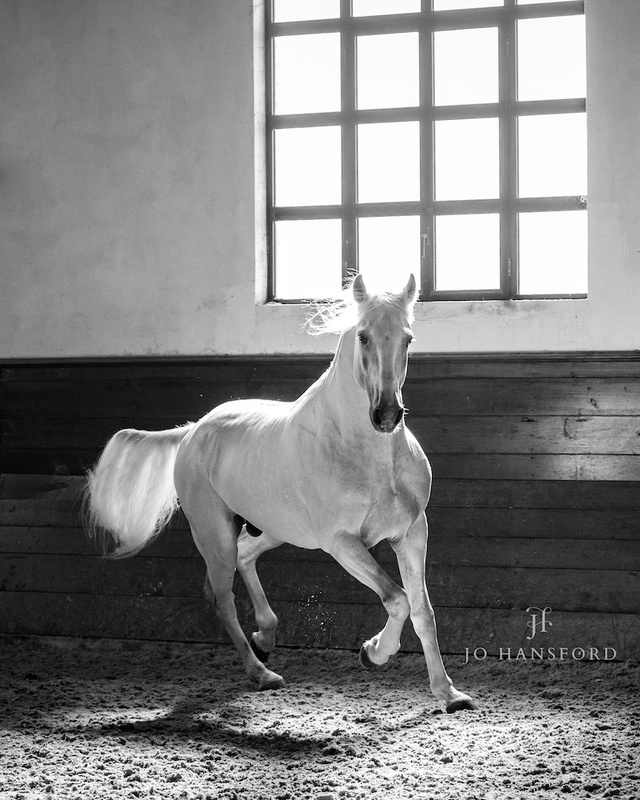 Our mission was to capture something of the beauty of the Lusitano breed, and the bond they have with their owners and riders. 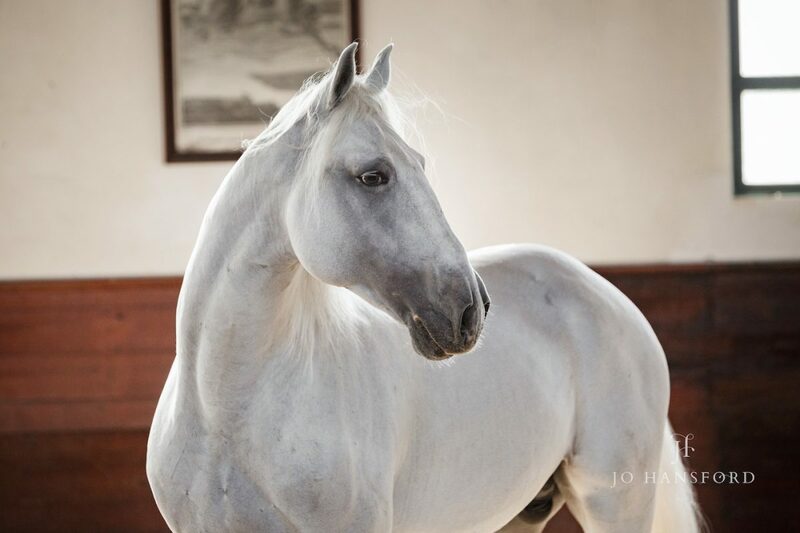 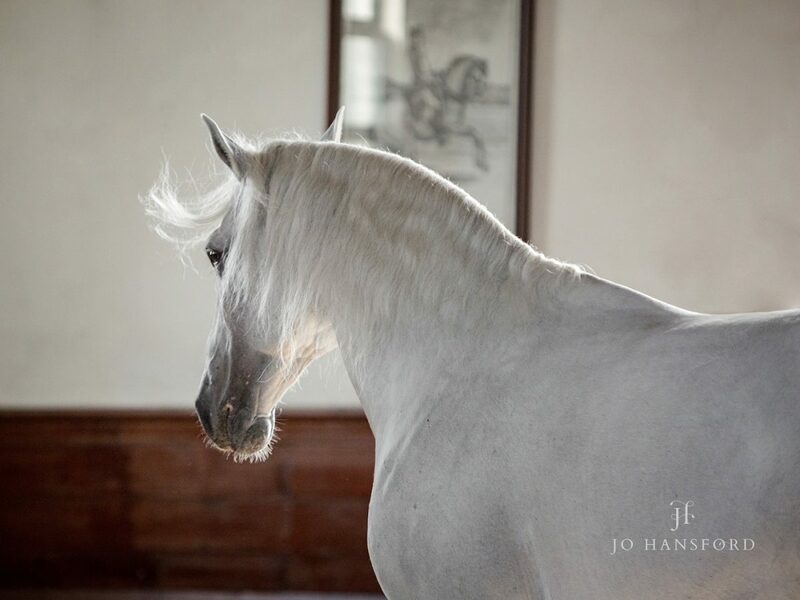 The Iberian horses have always held a fascination for me, they are known for their intelligence, noble characteristics and willingness to please, and visually the Lusitano horse is nothing short of stunning, especially when photographed at liberty. 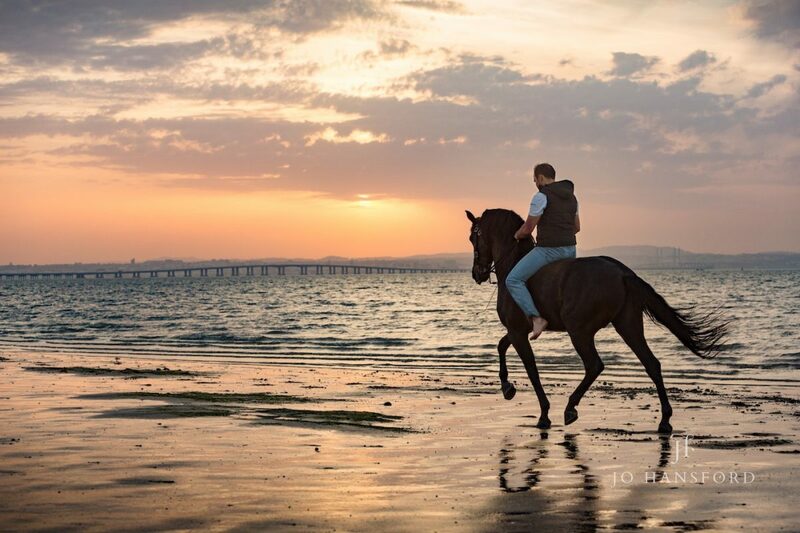 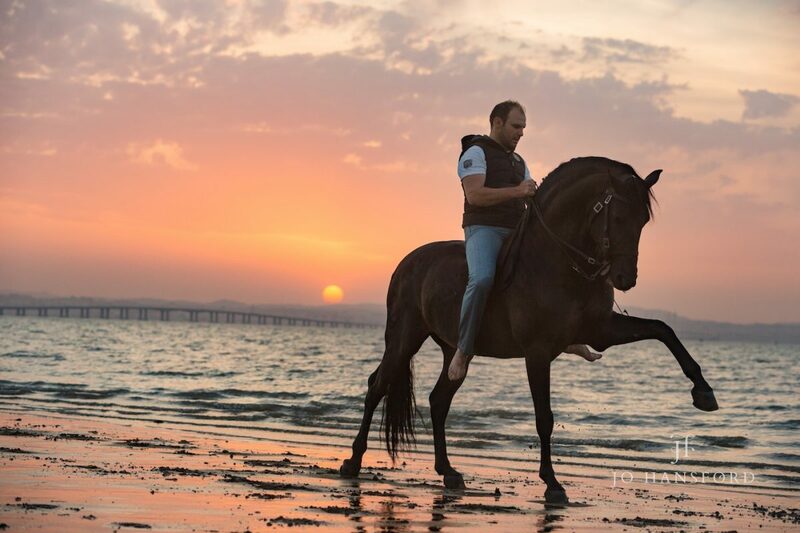 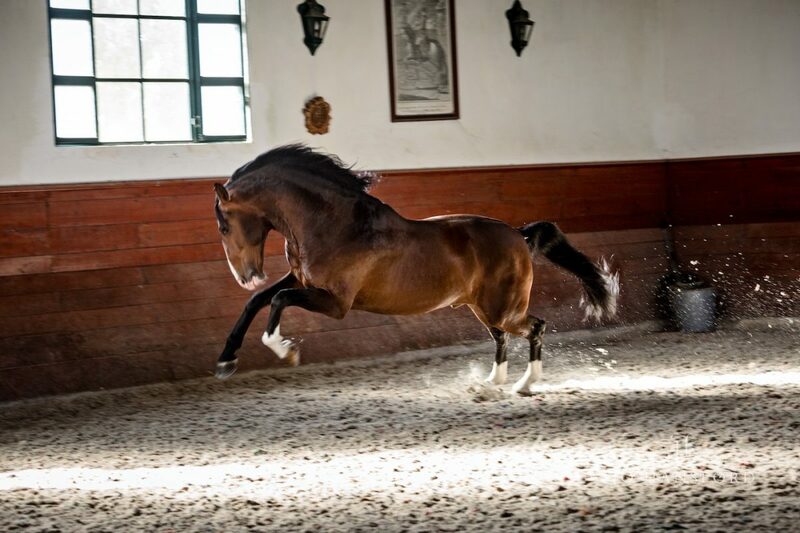 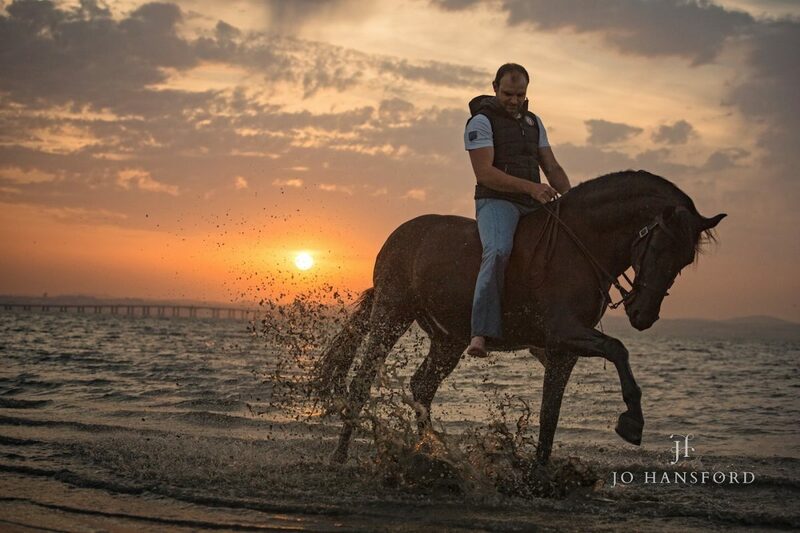 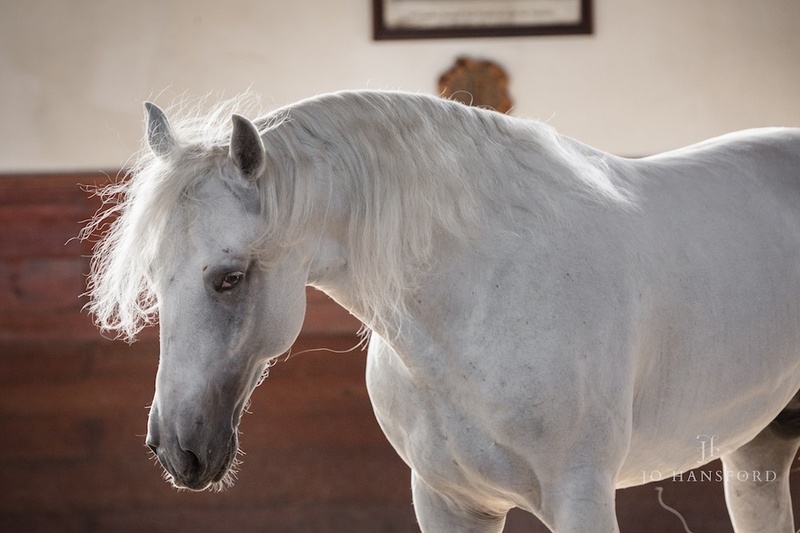 We have always had a real passion and love for Portugal, its culture and people – its where we got married – and where better to capture the Lusitano than in its natural environment – in Portugal. 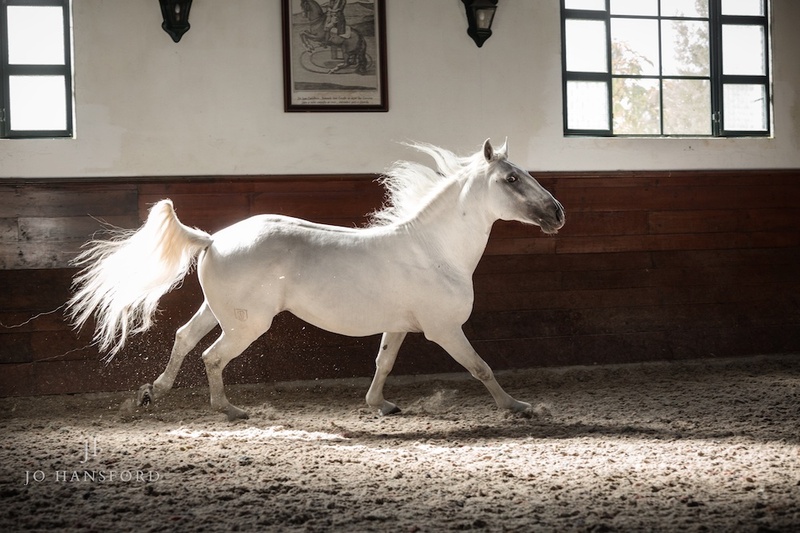 Gilberto was the first stop on our two part trip, the second being visiting a wonderful stud farm in Alentejo, ‘Zambujal’, owned by Pedro Sousa Vieira – you can read all about this wonderful shoot here. 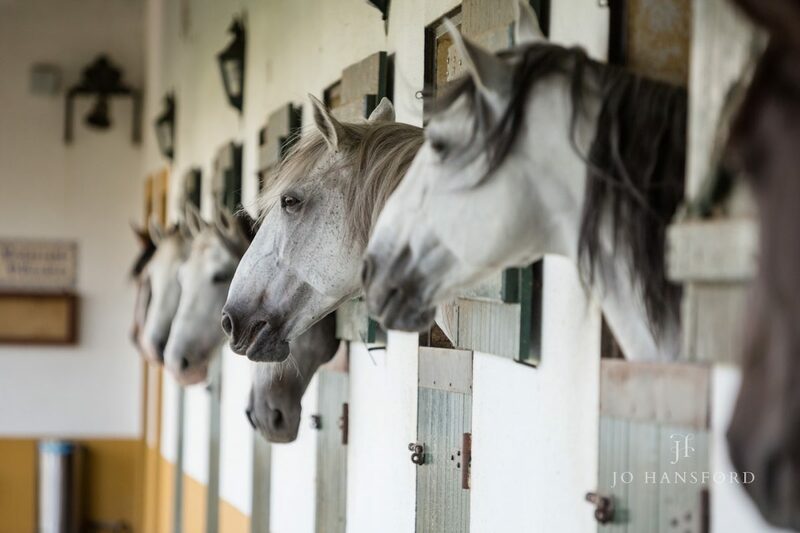 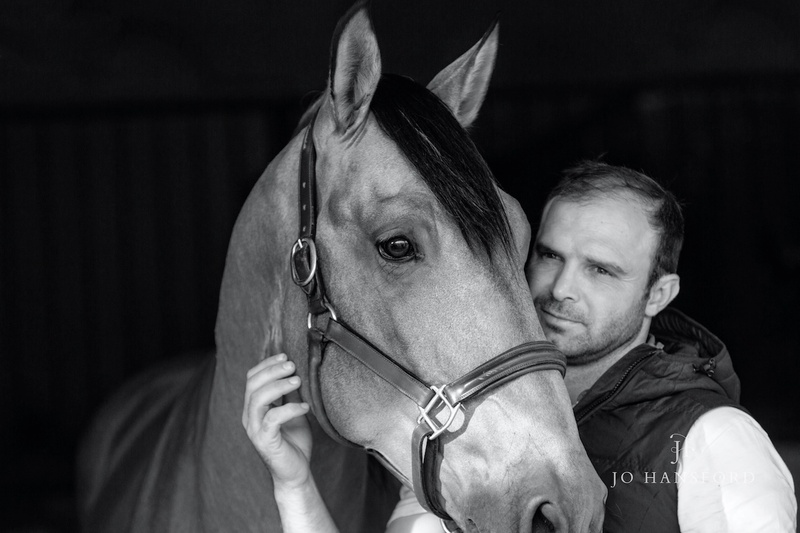 Our shoot started at the yard, where we photographed two of the horses at liberty. 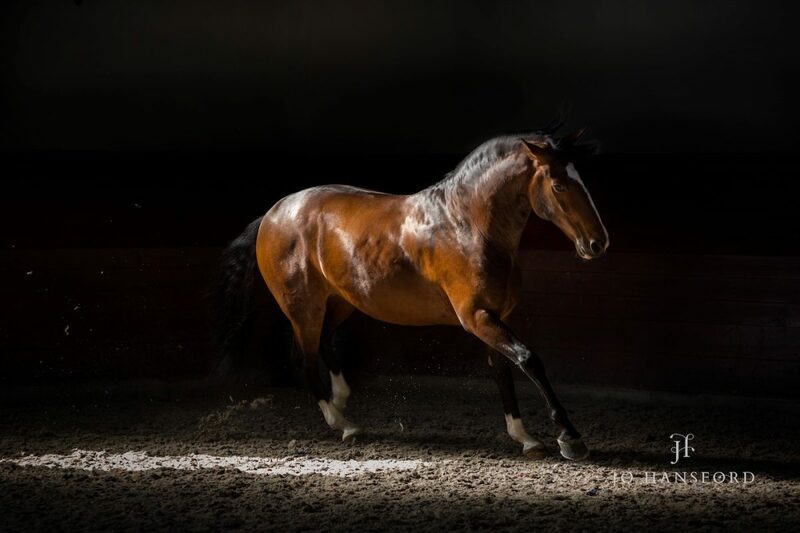 First up was a stunning bay 6 year old, Lusitano, ‘Guizo’, who wasn’t shy about strutting his stuff! 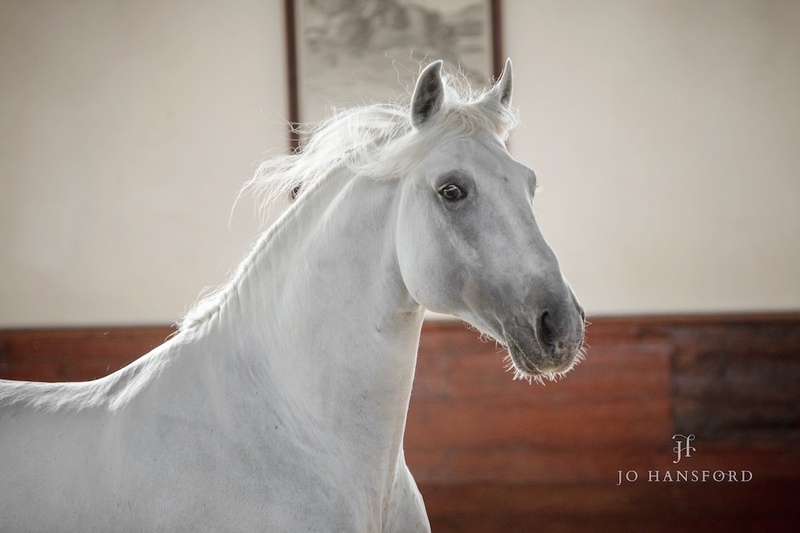 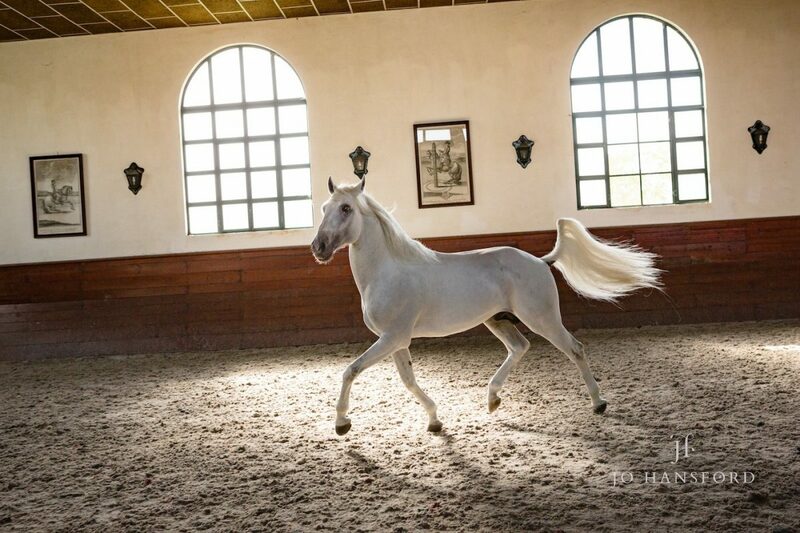 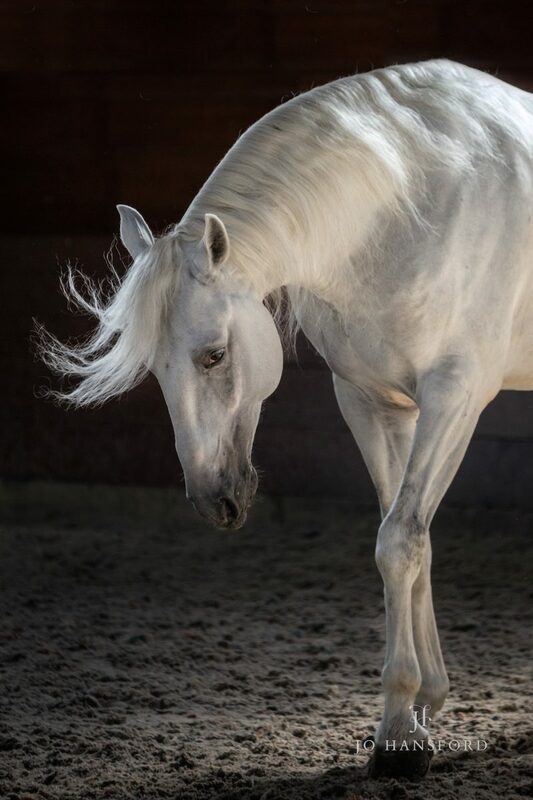 Next we were treated to a white beauty – ‘Hiato,’ 5 year old Lusitano stallion, who took our breath away with his incredible movement and precence! 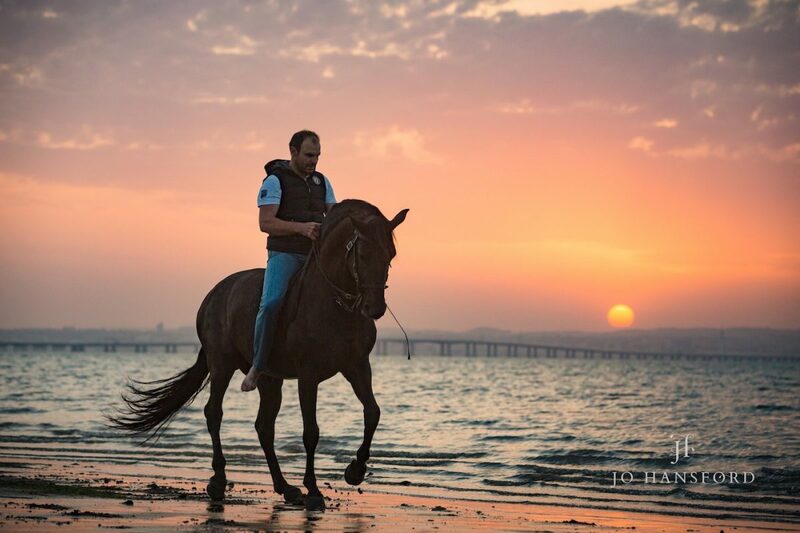 We could see that Gilberto has an incredible bond with his horses, both on the ground and in the saddle. 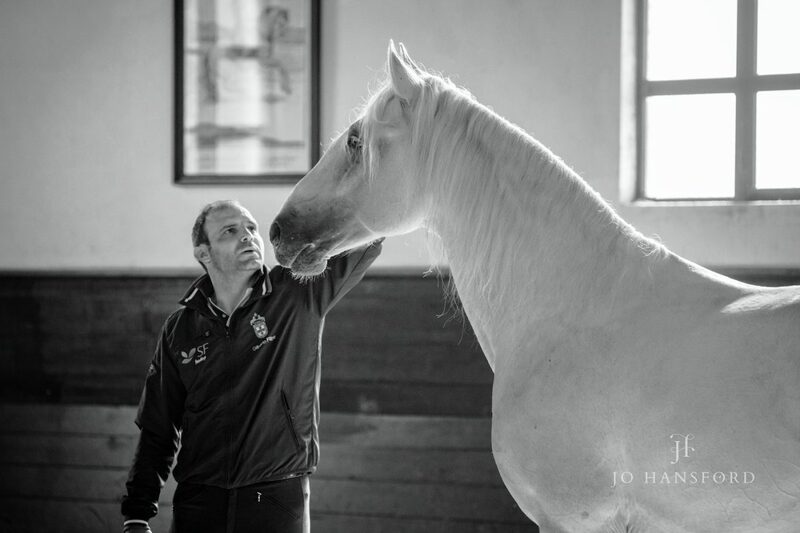 We were honoured when Gilberto’s wife. 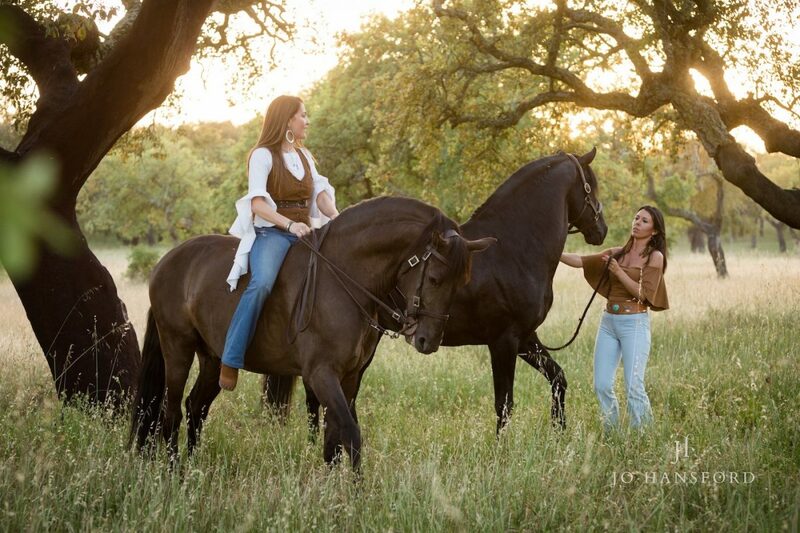 Sofia, & her friend Mafalda, volunteered to model for us with some of the horses. 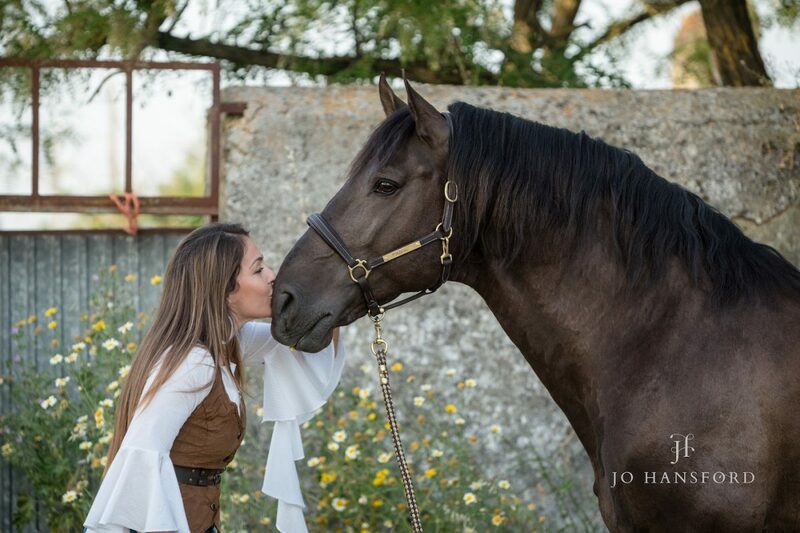 We’d spotted a couple of lovely areas around and near the yard which we knew would work perfectly as a backdrop for the kinds of shots we wanted. 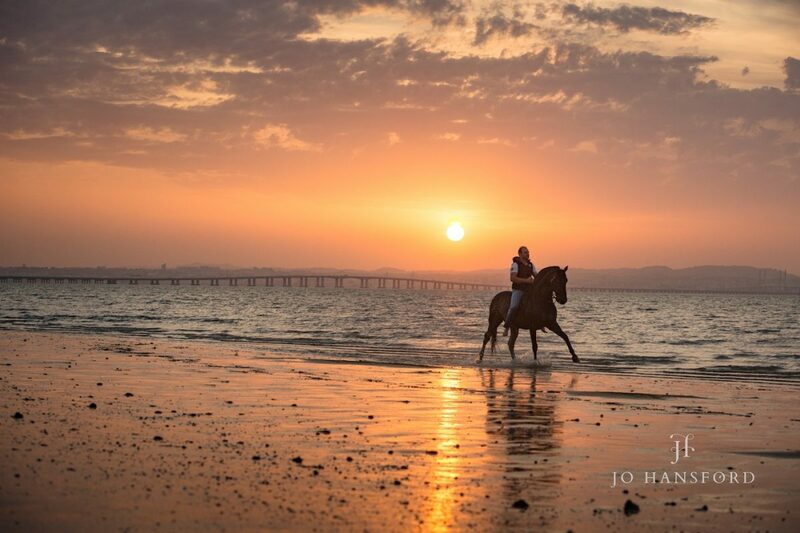 The light in Portugal is different to UK, brighter and warmer, and there is of course so much more sun, with incredible sunsets. 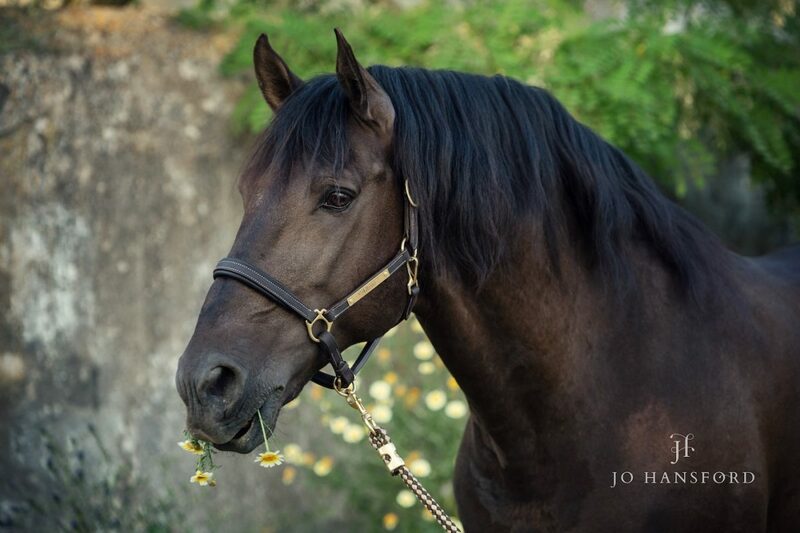 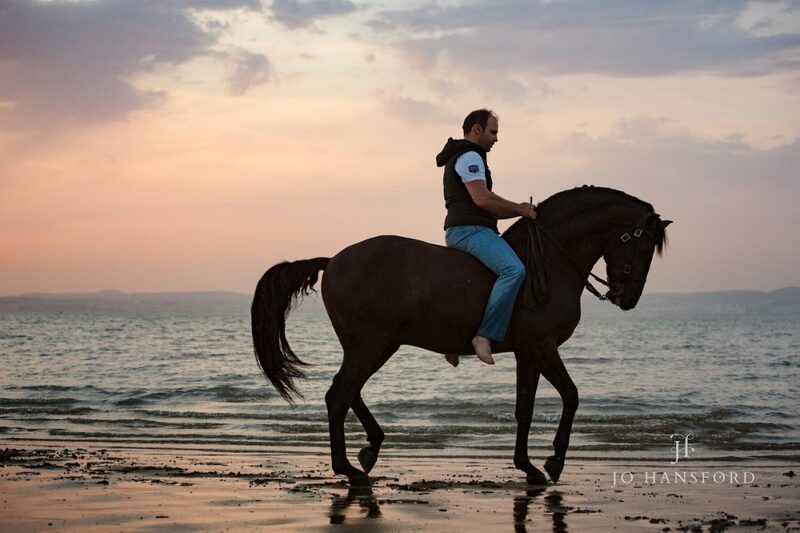 So we decided to take advantage of this and one evening, headed to the stables to take photographs of the ladies with two of the horses – ‘Altivo’, a stunning black/brown Lusitano stallion, and ‘Zinque das Lezirias’, another black Lusitano, who has a white blaze. 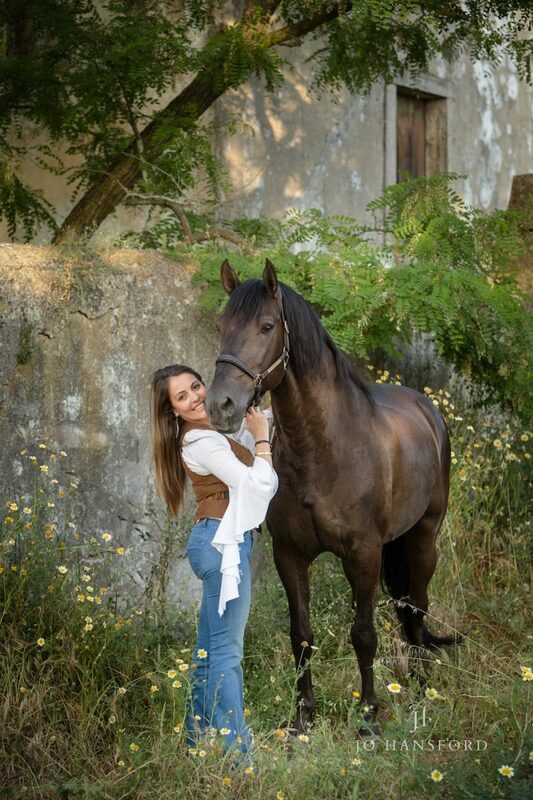 We started with both ladies with Altivo around the yard which has some lovely old buildings and green areas. 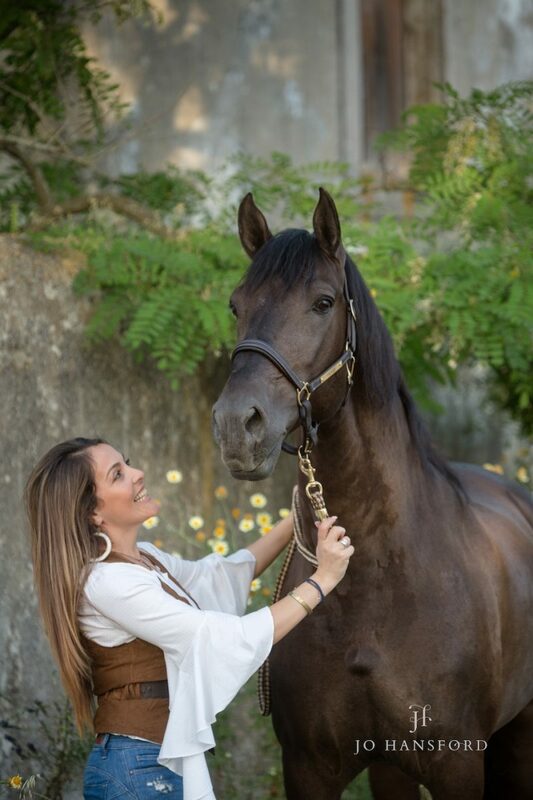 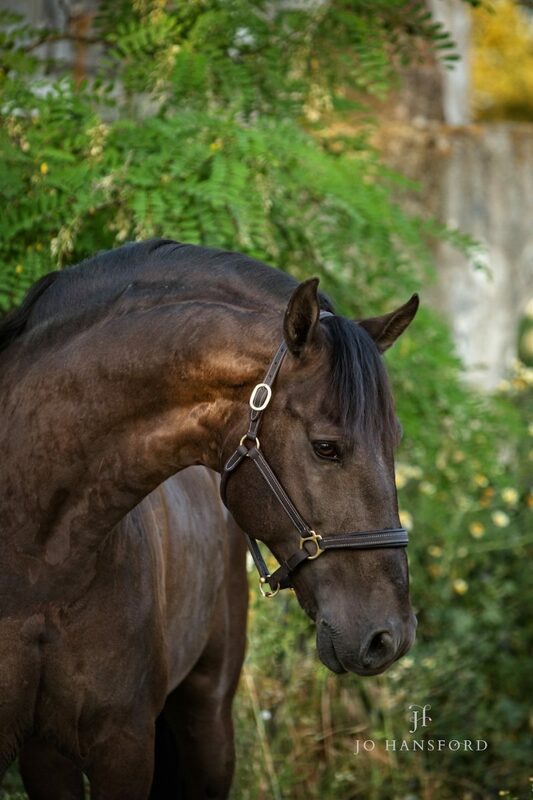 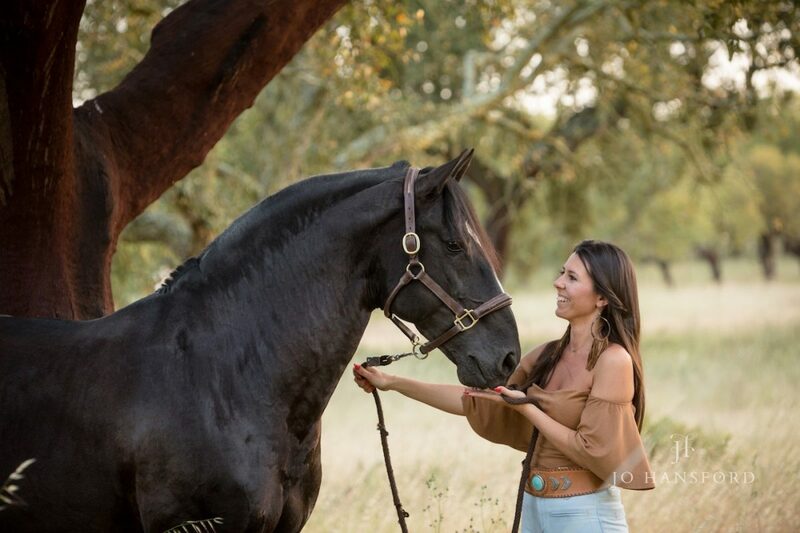 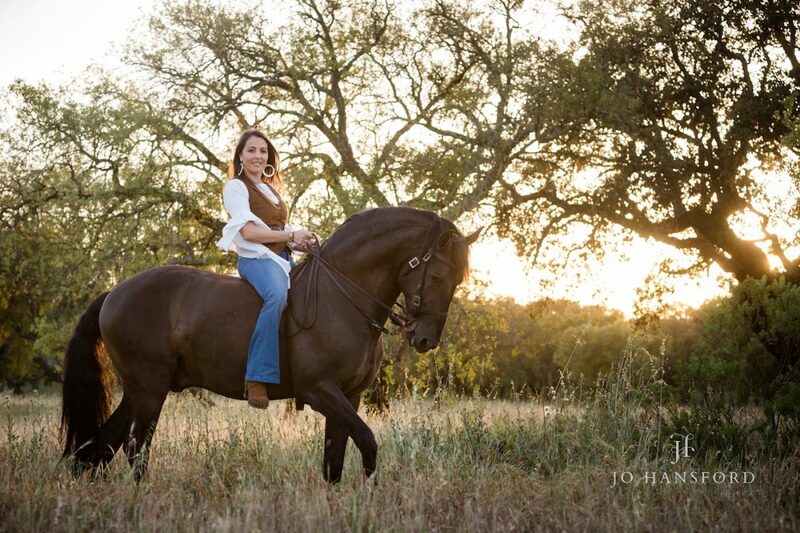 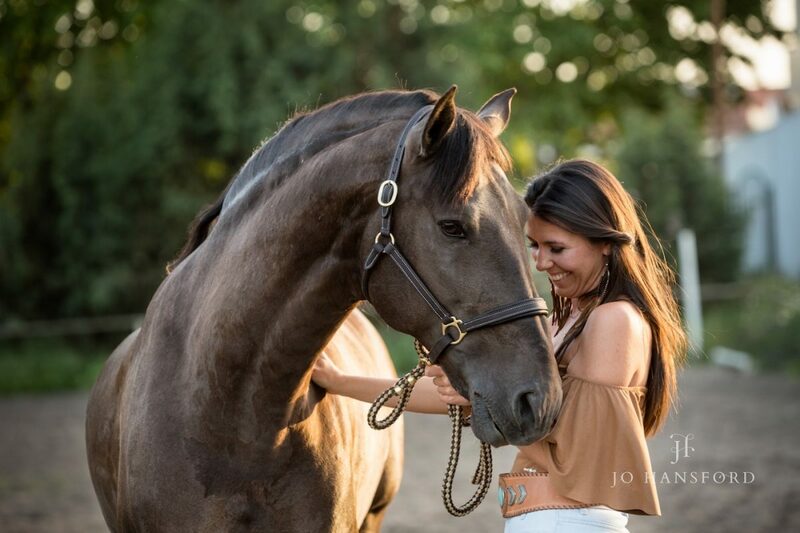 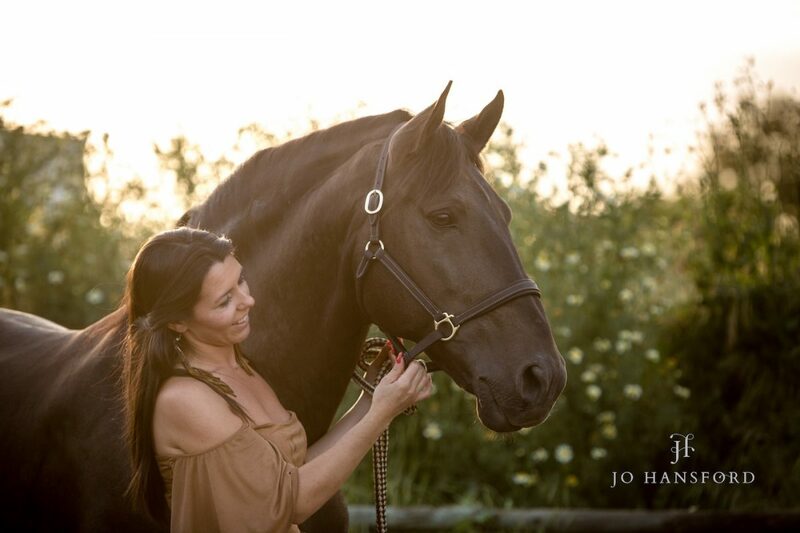 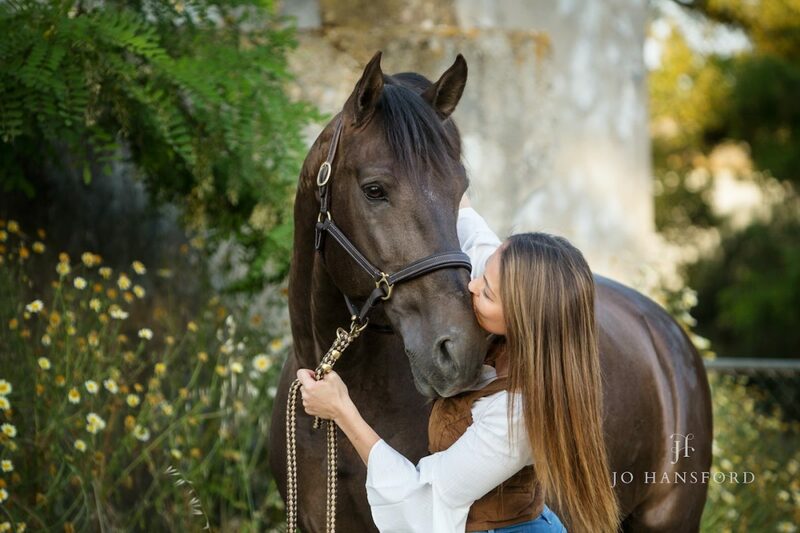 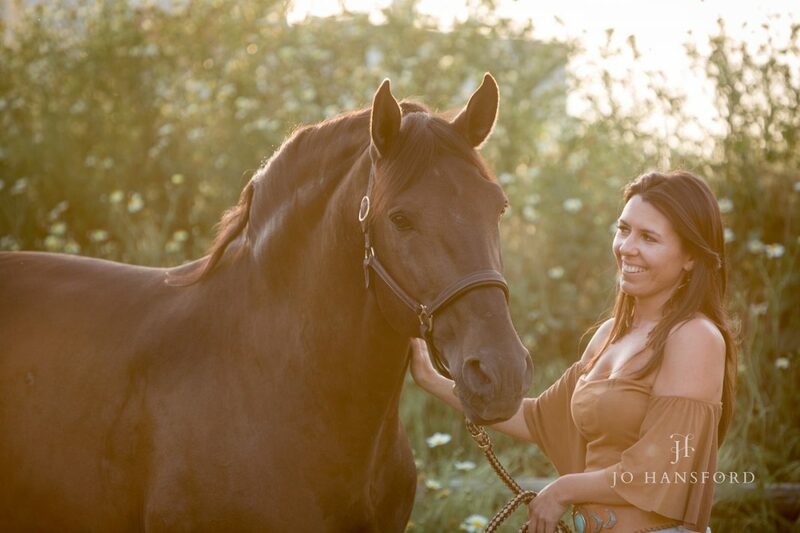 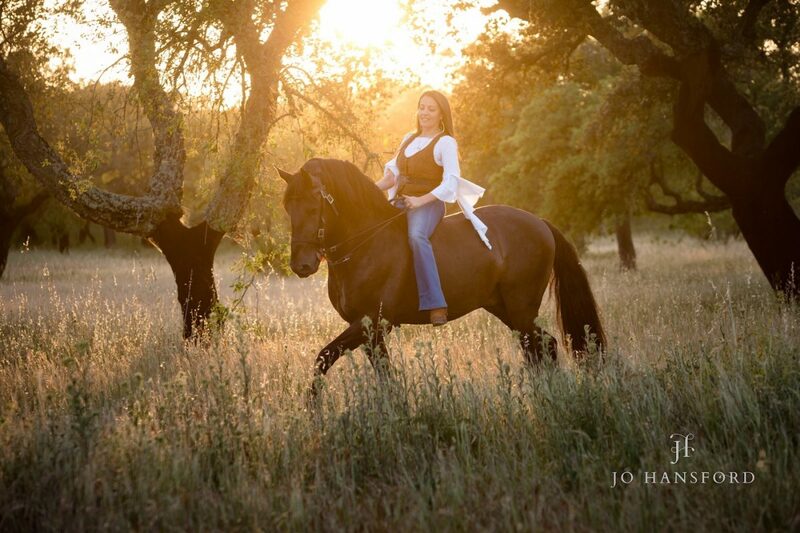 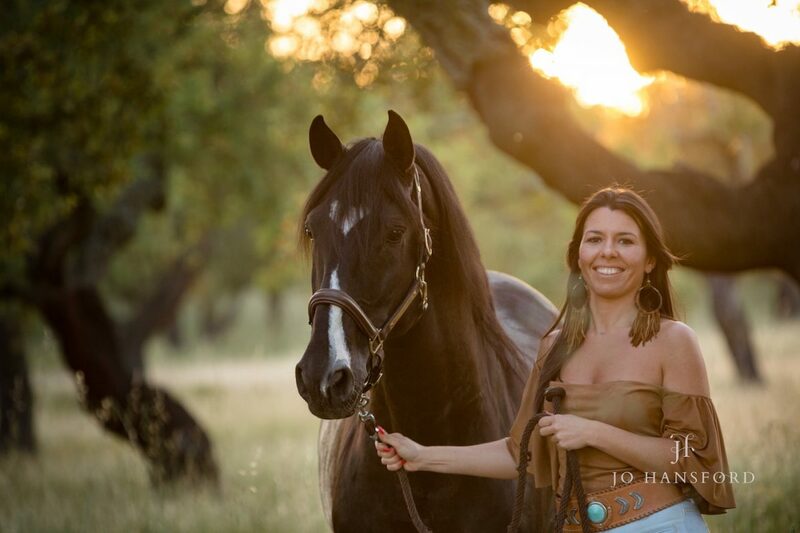 Below – Sofia with stunning 12 year old stallion, ‘Altivo’. 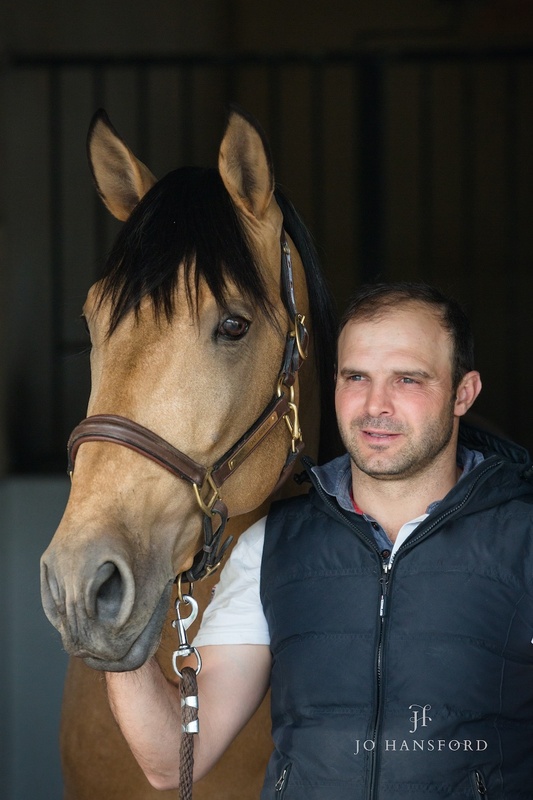 Below – Mafalda with Altivo. 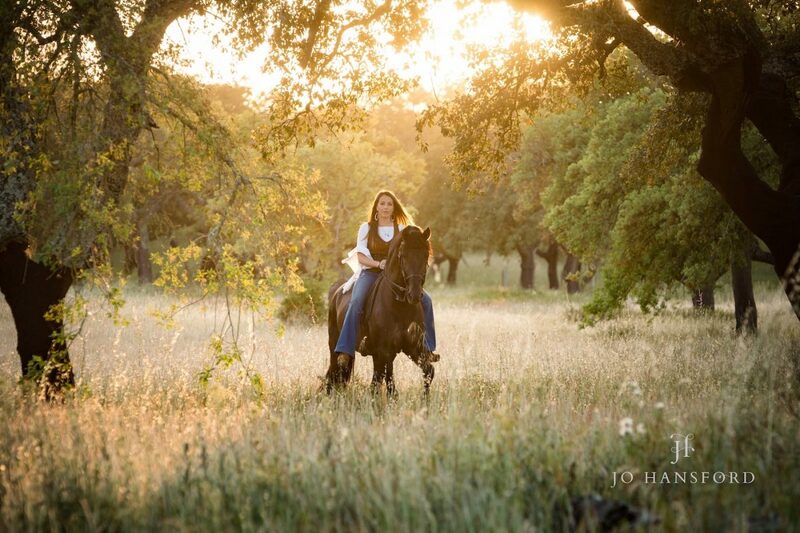 As the sun went down, we headed to the gorgeous olive grove over the road to catch the sunset. 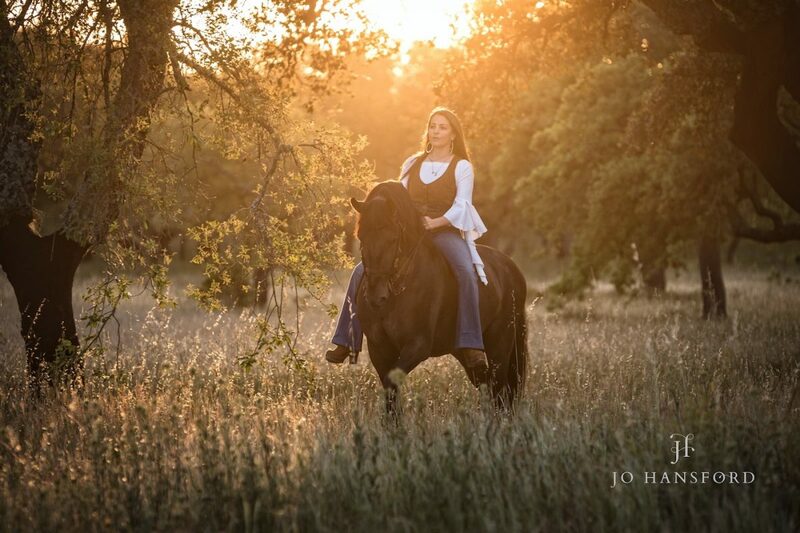 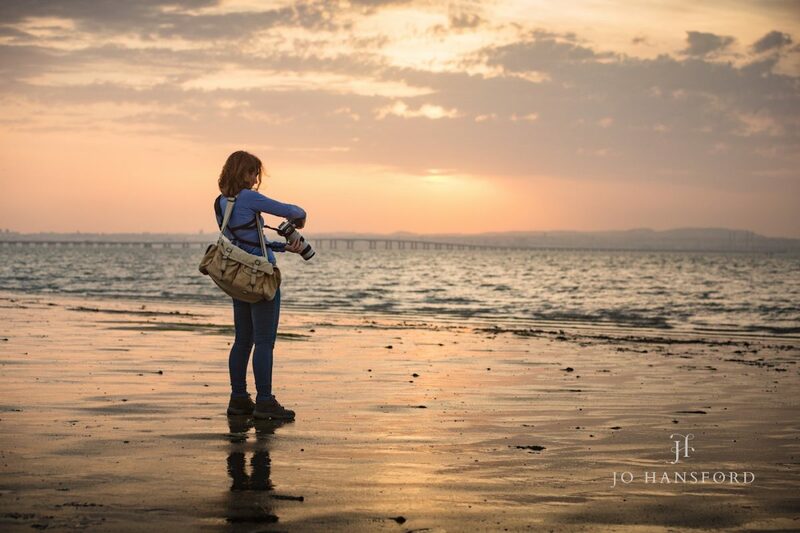 We were treated to incredible soft evening light, perfect for our subjects. 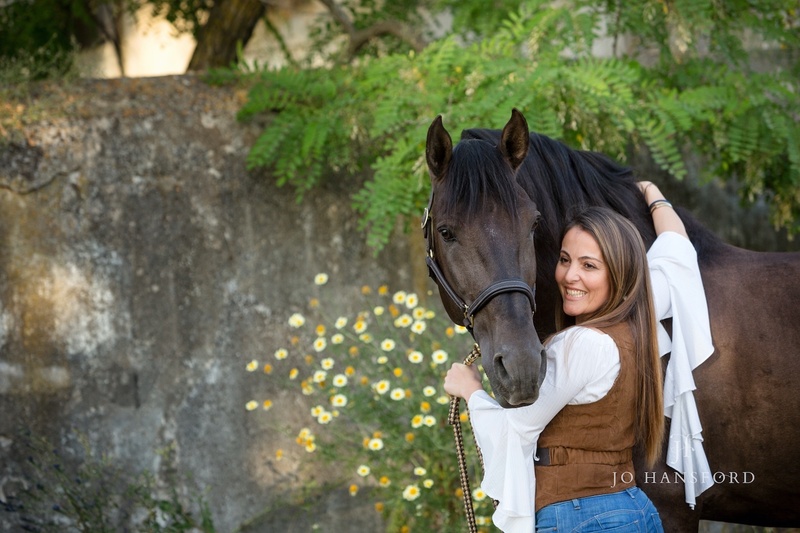 Both horses were a little ‘hot’ due to another horse being in a neighbouring field, we think Sofia and Mafalda coped brilliantly with this and we loved the light! 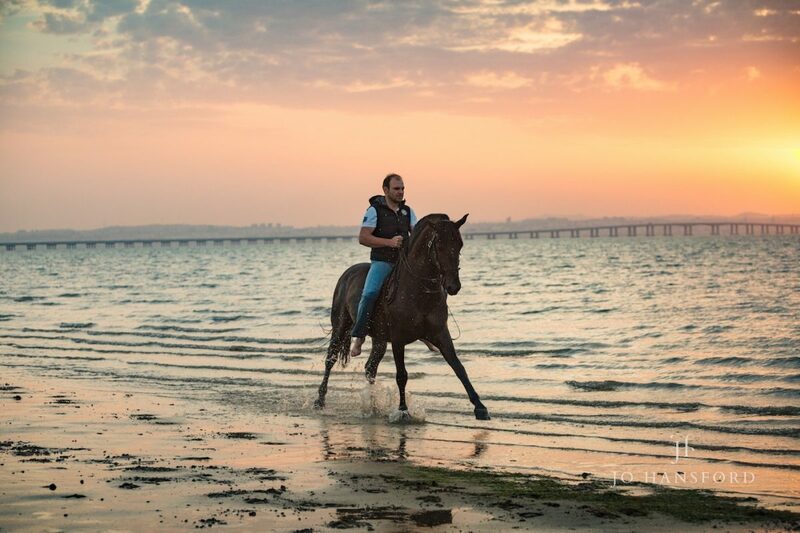 The final part of our shoot was planned for the beach near Montijo, by a small town called Alchochete. 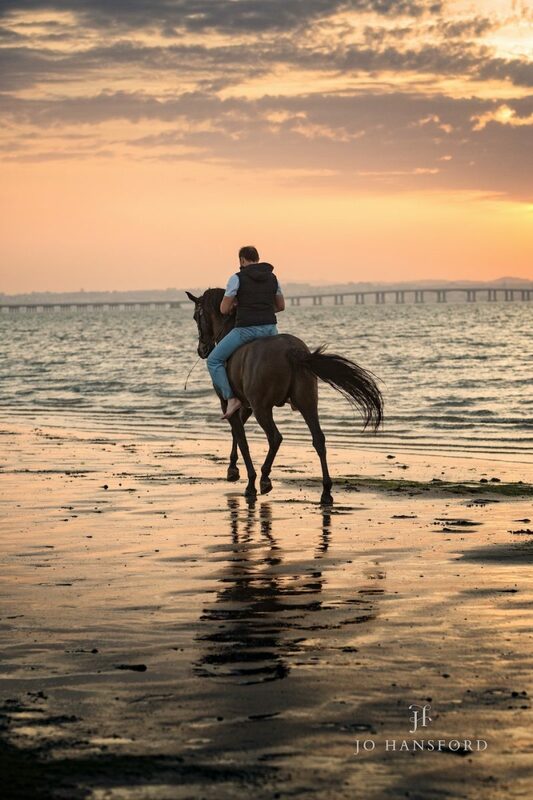 We were staying in Alchochete, so we knew the sunsets were often incredible. 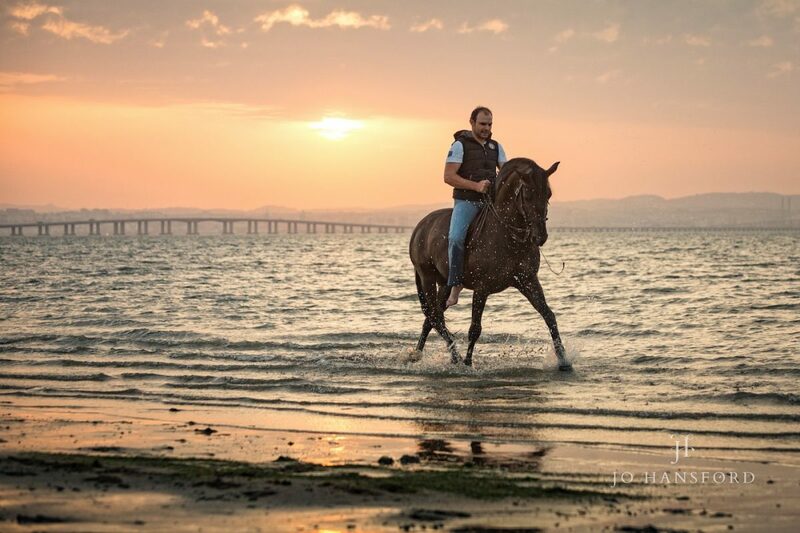 This was the perfect finale to a wonderful, amazing few days doing what we love in a country we love – thank you to Gilberto and team for hosting us!